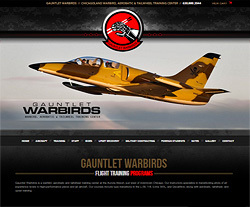 Do you specialize in all things airborne and are in need of increased web presence? 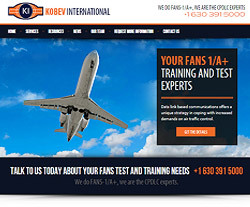 Aviation web design at VisionFriendly.com provides a captivating and professional website design that will portray your business message and boost your client base in no time. Our team not only strives to create an aesthetic aviation design, but reaches out to your target market through SEO and PPC services that will help your website gain recognition throughout the web. We understand the needs of the aviation website industry, and it is important to keep your clients reassured of the level of quality and safety that your company provides. It is equally as important to provide an eye-catching and appealing design that will keep your viewers interested in the products and service you offer, and VisionFriendly.com can help you achieve that. As well as aesthetics, it is equally as important to reach out to your customers and allow yourself to be easily contactable to them. Therefore providing links directing to your contact sheet, alongside phone numbers on every page of your aviation website design will allow your customer to feel reassured that they can gain further information about your company and service. We also believe in less is more, and therefore recommend simple, to the point contact sheets so that the customer can quickly and easily reach out to your company. Lastly it is essential to keep your customers informed of the locations of your services, and the destinations in which you travel to. If you specialize in aviation transportation, events or entertainment it is important to keep your customer base clearly informed of these. For more information or getting started on your journey to a fully functional aviation website, contact VisionFriendly.com today and receive quick feedback and support on all your website needs.